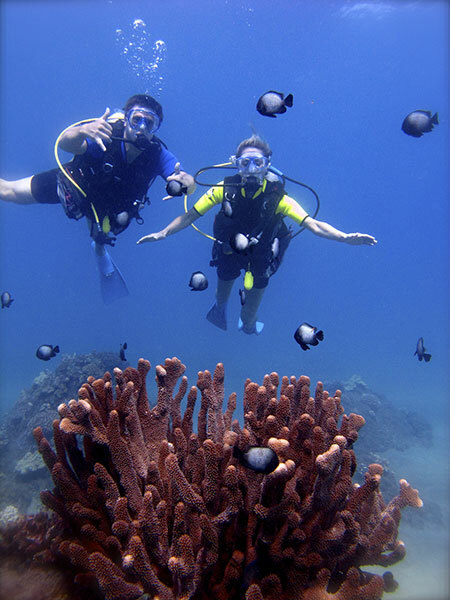 A beautiful dive, conveniently located at Polo Beach, steps from the resort. This dive features Tropical Coral Formations, Green Sea Turtle Cleaning Stations, Endemic Hawaiian Reef Fish and an abundance of Native Marine Life. A great exploration dive on the reef using lights. Conveniently located at Polo Beach, steps from the resort. 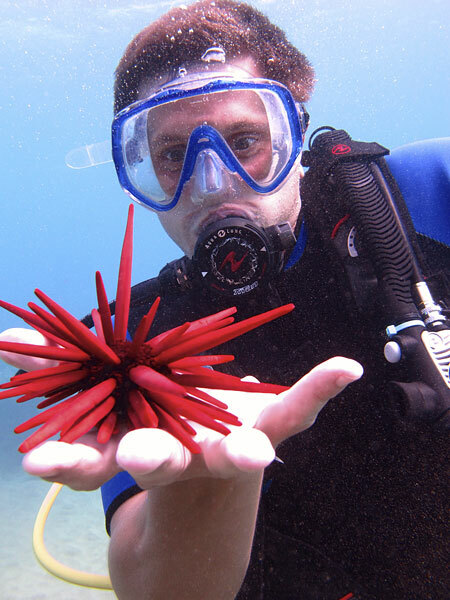 See a whole new array of Maui’s underwater creatures that only come out at night. Cruise underwater using battery operated scooters. We offer the Saddle EV-2 Evolution Diver Propulsion Vehicles. We cover more ground with less effort, extending bottom time and much more fun! These scooters will take you places that you can’t get to on a kick dive. Allow 1 1/2 – 2 hours, since our air usually lasts a bit longer. 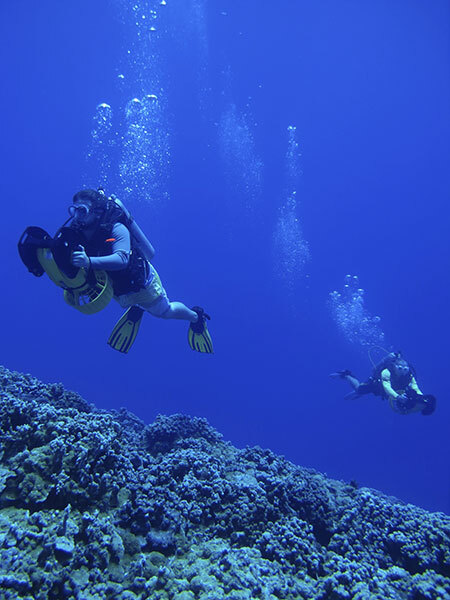 Explore outstanding dive sites away from the resort with or without battery operated scooters. 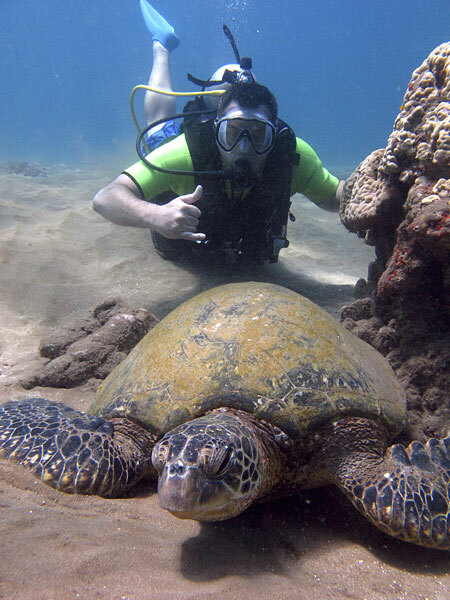 Talk with your instructor or call for a selection of available dive sites around Maui. We can recommend the best sites for the day’s conditions and your marine life requests. No experience necessary! 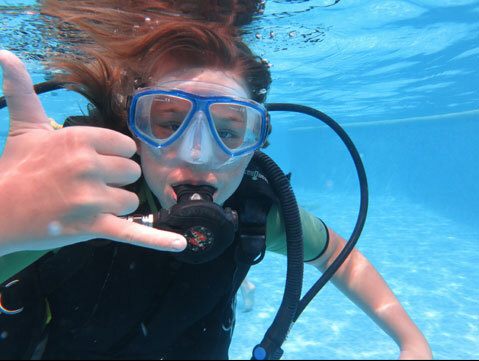 Our SCUBA instructors teach the basics of SCUBA diving in the safety and convenience of the resort pool, followed by an ocean dive, making for an awesome first underwater experience. Allow 2 1/2 hours for the pool session and the dive. This class is available for divers 8 years old and up. It’s really for anyone looking for maximum time in the pool without the ocean dive to follow. The emphasis is on fun and less about skills. Allow for an hour of pool fun! Academics, Confined Water Skills and Four Ocean Dives. life. Allow 3 -4 mornings. Padi.com, Open Water elearning, pick Wailea Scuba, Surf & Paddle as the partnering dive center and all progress and completion notices will be sent to us. If you can complete this before arriving, it saves precious vacation time. Allow 3 mornings. academics and confined water skills at another dive shop. completed in as little as two days. Naturalist, etc. Limited bookwork, no tests, just fun diving!